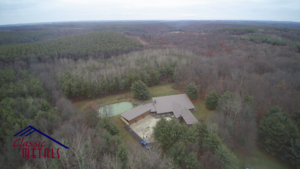 As I drove into the lane, my first thought was how nice and secluded the home was. Tucked in among the trees overlooking a rolling valley was a home that struck me with unique architecture and design. 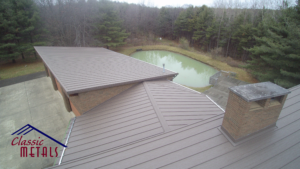 When I discussed with the homeowner (who prefers not to be named ) about why she chose to replace her roof with the 26ga Low Gloss Standing Seam. She informed me that she recently purchased the home, and knew at that point that there were several leaks. 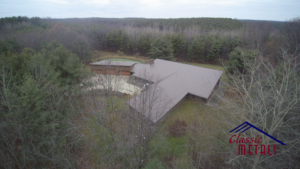 Although the leaks made the project urgent, there were several reasons that led her to the decision to not install asphalt shingles. 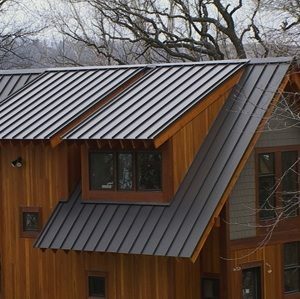 The first reason was that the original architect had designed the home with Standing Seam in mind. 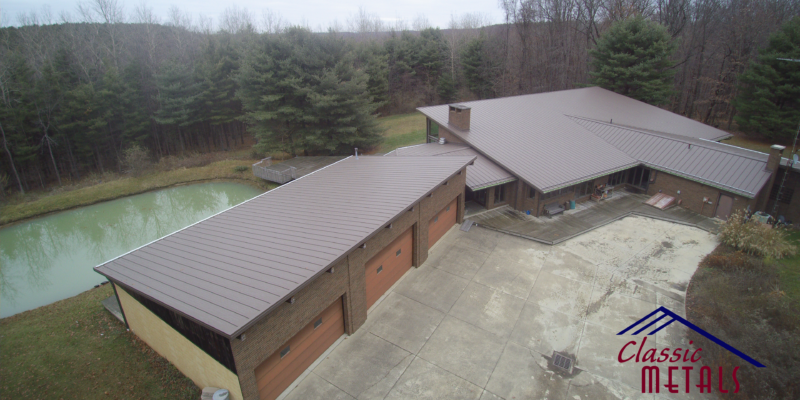 The entire home was designed for efficiency and simplicity, and the Standing Seam roofing system fits very well with that. 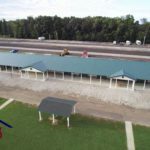 I also considered environmental factors involved with installing another asphalt shingle roof she said, taking care of our environment is important to me, and to think of those shingles only lasting 10 to 15 years, and then ending up in a landfill was not a good thought. 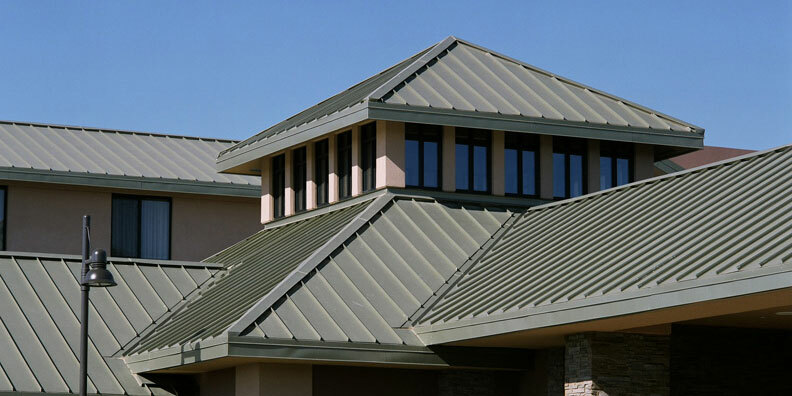 The energy factor of metal roofing when compared to asphalt also came into play. 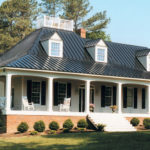 The customer informed me that she had set up a meeting with the original architect and also the builder of the home. 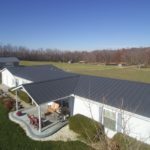 After she had discussed all the options with them, she came to realize that the cost for the Standing Seam was really not that much more after all the benefits were considered. 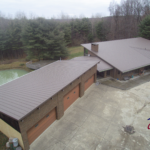 It really comes down to value of the Standing Seam roofing system.The installers did a good job, and I am very pleased with the finished product. I am so glad that I chose to go this route.